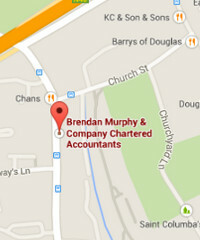 Brendan Murphy & Co, Chartered Accountants & Registered Auditors operate from Douglas Village, Cork. The Practice was founded by Brendan Murphy in 1986. We offer a full range of accounting services and provide a personalised approach in dealing with all clients. Our aim is to provide our clients with a professional accounting service thus ensuring well orgainsed financial records and tax compliance. Meaningful, well organised financial records and tax compliance enable our clients’ business operations to run efficiently and form the basis of success. Our qualified experienced staff can assist you with the day-to-day tasks associated with your accounting and taxation requirements either in-house or onsite.